Discovery Primary Science and Maths originated in 2003 with the aim of introducing primary school students to science in a practical, hands-on, enjoyable and interactive way. 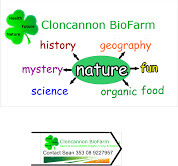 We at Cloncannon Biofarm are delighted to receive accreditation as a Discovery Primary Science Centre in July 2015. We are committed to putting every ounce of effort and resources into providing the visiting students with highly engaging, scientifically stimulating activities. We aim to load the experience with mystery and fun. 1. Observing, identifying and exploring a variety of Living Things. Interconnectivity. (all age groups, hand lenses, ID charts) 20 minutes. 2. Why Organic. 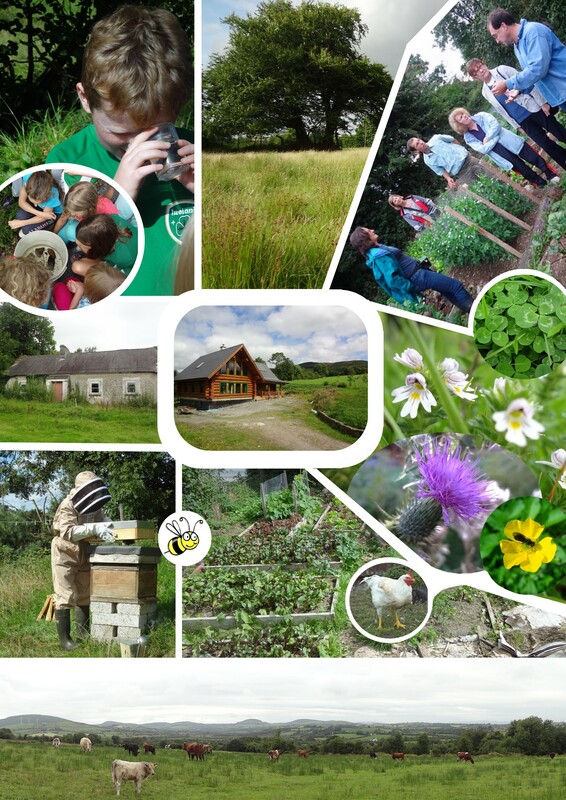 Stimulate questioning of benefits to wildlife and people. Measurement of ‘Food miles’/ measure from garden to kitchen (use metre stick) 20 minutes. 3. Exploring Soil; its formation; creatures within; Use of Microscope. Seed sowing and growing healthy food for healthy diets. 4. Geography landforms, waterways and evidence of landscape history. Maps and compass. Senior classes. 20 minutes. 5. Trees (what they give us), and in farming heritage. Native tree ID skills. (all classes) 20 min. 6. Re-enacting life in the Ringfort. Pupils engage in willow weaving, iron working, leather use, fencing with hazel, picking wild food. Emphasing the theme ‘needs and wants’. (all classes) 20min. 7. 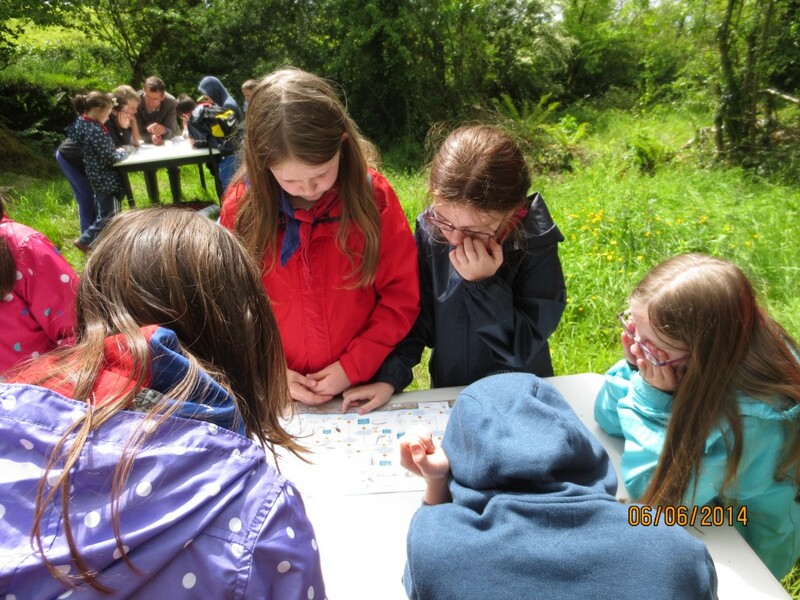 Investigate survival strategies of mini beasts in the ponds and river. (senior classes) 30 min. These activities will be led by Sean O’ Farrell and Caroline (Msc. Ecology). Equipment will be provided. Teacher notes and pupil material are provided. The Cost is 6 Euro per student. Activity 1: will engage students in Observing, Exploring, Communicating and understanding connections in the Natural Environment under the Strands – Shape and Space; Numbers; Measures and Data. Activity 2: (Why Organic) will engage students in Applying and Problem solving; Communicating and Expressing; Reasoning and Understanding. The Strands addressed include Shape and Space (spacial awareness – food miles); Numbers; Measures (distance) and Data (representing and intrepretating data). 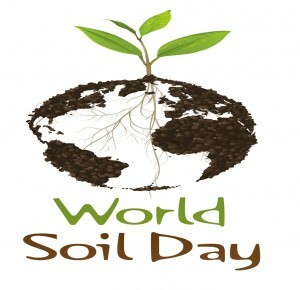 Activity 3: (Exploring Soil) will engage students in Reasoning; Connecting and Understanding issues around food production and health. The Strands addressed include Numbers (creatures in the soil), Measures (area, time), Data – interpretating relationships. Activity 4: (Geography Landforms) will engage in Observing, Connecting and Understanding landscape features and Time scales. The Strands linked to include Shape and Space (special awareness), angles or rounded hill tops etc. ; Measures – time, area, length; Data – representing and interpreting. Activity 5: (Trees) Our Native trees on the Organic farm. This activity will engage students in Observing, Applying and Problem Solving in relation to the services trees provide to humans and the Planet; Communicating and Expressing; and ‘Connecting’ life on Earth. The Strands linked to include: Shape and Space – different tree shapes and global environmental factors. Numbers –area, time; Measures – time and trees in cultural history; Data – interpreting data relating to the significance of trees. Activity 6 (The Ringfort). The activities the students get engaged in on the ringfort engages them in Applying and Problem Solving around the way current society uses the earths’ resources compared to the inhabitants of the ringfort; Communicating and Expressing; Understanding ‘change’ over time and future challenges. The Strands that this activity link to include: Shape and Space – special awareness, also 3D; Numbers – populations of people; Measures – area, time, capacity; Data – representing and interprerting. 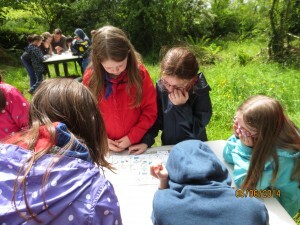 Activity 7 (Mini beasts in the pond and river). This activity engages students in skills of Applying and Problem Solving in relation to forms of pollution and survival of creatures; Communicating and Expressing; Integrating and Connecting. Reasoning and Understanding the survival strategies of the various species. The Strands linked to include: Space and Shape – features impacting on the pond/river habitat; Numbers of creatures/ food sources and food chains; Measures – size of mini beasts; and Data – recording and interpreting. Outdoor Learning has the potential to engage students in better understanding many facets of the Primary School curriculum and at the same time broaden the development potential of all students. Lovely Logos and Policy Documents – BUT how do we treat the soil? A Soil Framework Directive had been pending for eight years during which time no effective action has resulted. EU publications outline a policy of protecting natural resources and to promote sustainable use of soils, but this ‘shallow’ policy has done very little to protect soils. growing population’ in terms of food security and stable and sustainably used ecosystems. the welfare of generations to come. Schools students, Scouts, Community Groups and visiting Tourists. To mark 2015 as World Soil Year we will feature several articles on soil during the year. The subjects will vary from soil formation, the soil web of life, cation exchange capacity, fertility management, soil structure, to composting and feeding the soil. If I could only have the patience of plants. They wait patiently for the soil temperature to reach the desired level, as a result of the sun rising higher in the sky to set a new energy production system into motion. These miniature factories provide the food/energy source for all other creatures. That includes the microbes and soil animals which recycles the plant and animal debris. 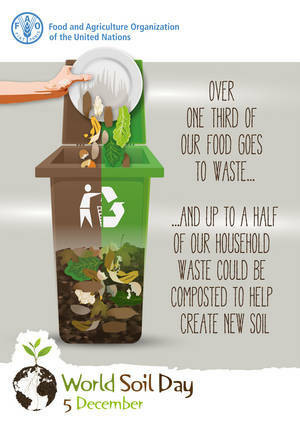 There is no waste in Natures’ household. Now that the trees are getting dressed the birds can hide their newly designed or reused nest. The chorus of territorial banter and the sweet melodic companion seeking tunes ring from the habitats close to the farm residence on Cloncannon Biofarm. There is so much happening almost inspite of our notice, for example, the plants are competing for space, sunlight, water and mineral resources. They are also trying to adapt strategies to avoid getting eaten by bugs/pests. They may have a tough outer cover on the leaf like the laurel or have thorns like the thistle, bramble, hawthorn, blackthorn, or holly. The bugs have emerged from a dormant or egg stage and they too are busy with family life and survival. But is all well and stable within these natural cycles of leaf bud emergence, insect first flight periods and bird migratory timing? The study of the timing of these recurring life cycle events in plants and animals is called phenology and the events themselves are called phenological phases. A pan European study, using records from 20 european countries (50 sites) investigated these timing events. 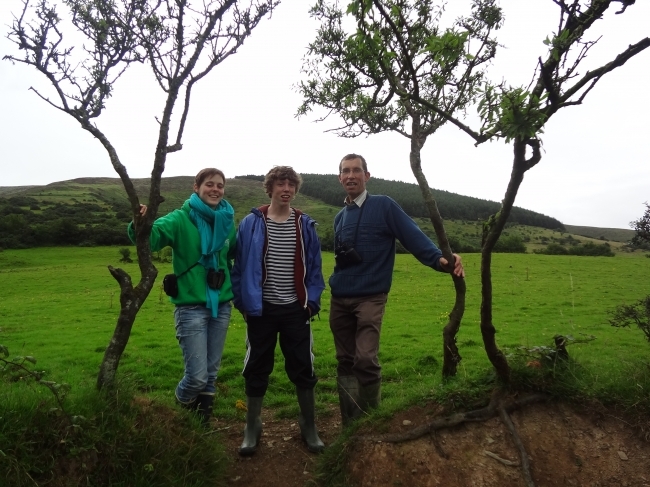 In Ireland, tree phenology recording took place at four sites (Valentia Observatory, Co. Kerry; the National Botanic Gardens, Dublin; Johnstown Castle and JFK Arboretum both in Wexford), since this network was established in the 1950s. At that time clones of a suite of trees were distributed to the 50 sites with the intention of investigating the impact of local climate on the phenological phases such as, bud burst, leaf unfolding, flowering, leaf colour and leaf fall. The results showed that the overall trend was for leaf unfolding to be occurring nearly three weeks earlier in 2008 than in the 1970s. This trend has, at least in part, been attributed to rising spring temperature. This trend has, at least in part, been attributed to rising spring temperature. In relation to insect phenology, analysis of a suite of moth species has shown that appearance dates and flight periods are correlated with spring temperature. (1) An increase in timber production as the leaves will be on the trees for longer and photosynthesising for a longer period producing more biomass. (2) More carbon dioxide will be removed from the atmosphere – again due to the leaves emerging earlier and therefore living longer. (3) An earlier start to the pollen season. But in temperate regions many trees need cold winter temperatures for budburst to occur, and if the winter temperatures rise this ‘chilling’ may not be fulfilled and young leaves emerging earlier are then susceptible to late frost damage. So, overall there will be some gains and losses related to earlier leaf unfolding. Looking at how individual species respond to rising spring temperature is not adequate. Since there are so many connections/interactions among species, we need to assess likely impacts at ecosystem level. How are the relationships affected? The timing of these interdependent phenophases must be synchronised. Recent studies have shown that the some migrant birds that feed on caterpillars are arriving earlier but not quite as early as it should be to benefit from the peak supply of food. This will mean a reduced supply of caterpillar food supply for the migrant bird chicks and possibly a greater availability to the resident bird species. Let us not leave out humans as we assess climate change and impacts on Natures’ web of life. The recently published document from the Intergovernmental Panel on Climate Change highlighted the urgency for actions that alter how the human species are impacting negatively on the planetary systems. For many years we have been hearing about loss of arctic ice masses. Climate change impacts on lowlying coastal human populations and on crop productivity and poorer countries is highlighted in the IPCC Report. Extremes of climatic conditions are making it more difficult for scientists to model future planetary security for ecosystem stability. Humans will it seems learn quickly from ‘Nature’ how to adapt to climate change. Nature has being doing it for millions of years. Even at farm level at Cloncannon Biofarm there are examples/lessons of adaptability to be learned, taught, qualified in, in order to be ‘Masters’ of sustainable living. For example, for the first time in my memory there are three geese on this farm. There was some small feathers and goose down in there holding pen but this was soon spotted by the starlings and they were busy going with beak fulls to line their nests. Similarly, there was three small ponds constructed on the farm in November and it is delightful to spot a nest strategically placed above the water line, tucked in under the tuft of grass on the pond edge. The grey wagtail is most welcome to share this beautiful spot. We humans must take note of these creatures adaptability and their emphasis on needs rather than wants. Living in communion with all the other creatures. The wisdom of Nature, we are not superior to it. It has been teeming rain for practically two months now in Ireland and the UK with lifetime records for rainfall been broken. We have also endured a beating from a chain of storms causing severe coastal damage, power outages, the felling of trees and structural damage. The most serious impact has sadly been the loss of life and also the stress and financial burden. We hear greater reference to and debate about climate change. Some people maintain it is happening at a fast rate and that we may not be able to adapt to the consequences, while other are adamant that the climate has always tended to change. There may be some middle ground agreement that the intensity or severity of weather events has intensified. In contrast to our extremely wet conditions, it seems that the state of California is heading for a record severe drought. California, which is the worlds’ eight largest economy is going through what is likely to be the most severe drought in the state’s recorded history. According to the U.S Drought Monitor Agency, almost 68% of the state is facing “extreme” or “exceptional” drought. The California Farm Bureau Federation expects that as much as 500,000 acres will go unplanted this year. This would be a huge impact on the state’s agricultural economy which yields about 6% of total revenue. In certain areas the drought could mean abandonment by communities and consequential loss of livelihoods and increased unemployment and poverty. Have assessed the above scenarios emerging over the past few decades some scientists are suggesting that human activities (fossil fuel use, deforestation, ocean acidification, biodiversity loss) are causing global temperature increases resulting in ice melt and a warming of the arctic region which may be impacting on the ‘jet stream’. Planet earth depends on a dynamic balance, a balance in various important cycles such as Water, Carbon and Nitrogen. Interesting the one zone that has a significant contribution to each of these (and biodiversity) is the soil under our feet. Many educators and advisers in agricultural science place a huge emphasis on soil physical and chemical properties for good farmland management. But many omit the enormous contribution of the third leg of the stool which is the biological properties. In these I refer to the bacteria, fungi, nematodes, protazoa, arthropods and earthworms. This soil food web is the driver for successful and sustainable agriculture. It increases the soil organic matter, improves water infiltration rate, water holding capacity, root depth, cation exchange capacity, mineralization of nitrogen, availability of phosphorus and exchangeable potassium. Avoidance of compaction and the use of crop rotation can improve soil fertility, disease management and increase output. Depending on soil type and crop cover the impact of heavy rain on soil can be quite significant. Rainfall can actually compact the ground. If soil is exposed, rain droplets can pound apart its natural crumb structure until this crumb becomes finer and finer and the tiny particles then act as a seal on the ground surface. This can prevent the movement of water down into the soil profile, increasing the risk of run-off. However, when the soil dries and opens again, these fine particles can be moved down into the soil profile to begin to clog up the pores underneath. These soils will then plough up wet because the water cannot percolate down. Annual applications of compost or farmyard manures will improve the organic matter levels and soil structure. The use of cover crops can also reduce rainfall impact and at the same time increase soil organic matter. So really we are just doing what nature has been doing for millennia, that is recycling nutrients. Maybe we will need to move from our ‘being too nice’ position and make greater use of human waste through proper composting systems to return nutrients to the soil. Just consider for a moment the amount of nitrogen and phosphorus that could be captured with a simple system in a large boys secondary school and returned to the land, thereby reducing fertiliser costs. It is being done in other locations and sure its only natural. In the meantime as the people in California are praying for rain, we may start praying that it goes away to Spain. I had being wondering when I would hear the ‘Chack – chack – chack’ sound for the first time this winter. It brought a smile to my face when as I was cycling from Cloncannon Biofarm to church this Sunday morning December 1st , I seemed to scare a flock of birds from the roadside hedgerows and out went that call. This encounter sent my mind considering a potential pending cold snap of weather. 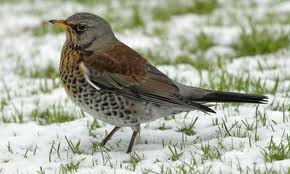 The Fieldfare (Turdus pilaris) is a winter visitor from Scandinavia and northern Europe. I think that sightings of the fieldfare for the first time on December 1st is much later than normal and that in previous years they tended to arrive in October. But this has been an extremely mild autumn/early winter. They belong to the thrush family and are similar to the mistle thrush in size. I expect to see the flocks move steadily across the fields as the forage and also advance through hedgerows as they feed on berries, hawthorn been a favourite. They will also feed on windfall apples, insects and worms. They will visit the garden feed stations in times of severe frost. It has been observed that whether feeding on the ground or roosting in a tree, the entire flock faces the same direction. When fieldfares take off from the ground they tend to wheel in flight and be constantly calling. In flight a white under-wing is visible. Male and female have similar colourings. During the breeding season the colony tends to be very defensive and are known to use well aimed defecation against the intruder. The old Irish name for the fieldfare is the ‘sacan or siocan’ which is probably from the word ‘sioc’ which means frost (frost bird), as it arrives in the winter. Its cousin the Redwing will I hope also be gracing the fields of Cloncannon Biofarm. This seasonal migration into our local habitat (part of the global habitat) is driven by three fundamental instincts: the endless search for food, the need for a safe place and the natural desire to produce young. The migratory species of the world use various navigational skills or instincts. Some birds are said to have inherited a genetic map from their parents which enables them to navigate. This is quiet phenomenal but we must remember that birds are thought to have evolved about 150 million years ago. Now that is worth repeating because it is a long long time. The beauty and diversity of birds in the world is amazing but I’m afraid that for some species all is not well as their habitat or food supplies are been destroyed. In Cloncannon strive to enhance the hedgerows and pastures for our companions on earth. Just to let you know about another aspect of Nature that I welcome at this time of the year, and that is a species of gorse coming into flower very slowly over the past two weeks. It sure makes a nice follow – on to the beautiful autumn colours. Enjoy this wonderful habitat we share with all living things. It is actually very satisfying to see the work of other farmers across Europe that have a similar mission to ours at Cloncannon Biofarm. It is well recognised that organic farmers are and need to be in tune with their surroundings and its creatures. We as organic farmers have no easier options, we must learn from how nature has managed for millions of years to sustainably cater for the huge and beautiful diversity of life to be found across the landscape in which we farm. Nature succeeds through it system of relationships among living organisms and the constant flow of energy (food) through the system. Nothing is wasted . The leaves from the trees are broken down by microbes, mites, beetles, centipeded, millipedes, and earthworms into food to be taken up again by plants. There is a relationship of interdependence between the above and below ground biodiversity. Whether it be a tropical rainforest, a coral reef or an African savannah, the higher the mix of species (bio –diverse) found is scientifically proven to provide resilience in times of challenges such as disease or climatic factors. 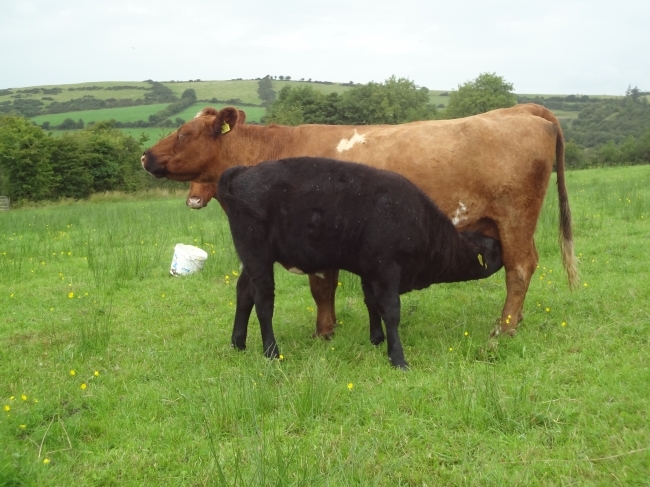 At Cloncannon Biofarm we have a continually evolving strategy to enhance the habitats and species on the farm. Each year we seem to plant more and more native trees into field corners or adjacent to existing woodland. As much as possible we seed save from trees in the local area. We place a very high value on hedgerows as habitats and corridors for wildlife. A rotational system of management is in place and we aim to have hedges with species and structural (some mature trees and some young trees) diversity. It is actually quite interesting to study the difference in species found on the north facing side of the hedge compared to those found on the south facing aspect. This is related to some plants having a preference for more damp shaded areas and others loving to catch the sun. The arrival of the track machine or hymac digger to excavate the new ponds brought with it a great sense of satisfaction and a sense of fulfilment from the potential longer term environmental benefits. Thankfully the driver/operator is also very keen to do an excellent job, as he is passionate about using such a powerful machine to enhance rather than cause destruction to nature. In the garden we create areas for wildlife by leaving dead wood, nettle/thistle/grasses and wildflower corners. The earthworms love to find refuge and reproduce under recycled cardboard. Maybe we will get a chance to create a bug hotel (winter accomodation)in the autumn of 2014. Rainwater harvesting and composting are two other very important practices undertaken to benefit the environment. Feeding the soil with compost, compost teas and farmyard manure helps to improve the soil structure and increase the soil food web which in turn can provide extra minerals and trace elements for the vegetables we consume and sell. Organic gardening is a learning curve and during this winter further research will be done into companion planting and seed variety selection. Planning is very important, not just for next years’ crops but also for how we leave this beautiful organic farm for the next generations. 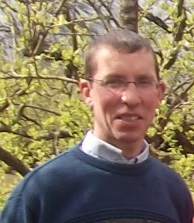 I have attached a link below which gives examples of organic farmers in other European countries who are committed to working with Nature and enhancing biodiversity for a sustainable future. I hope you enjoy and consider sharing. 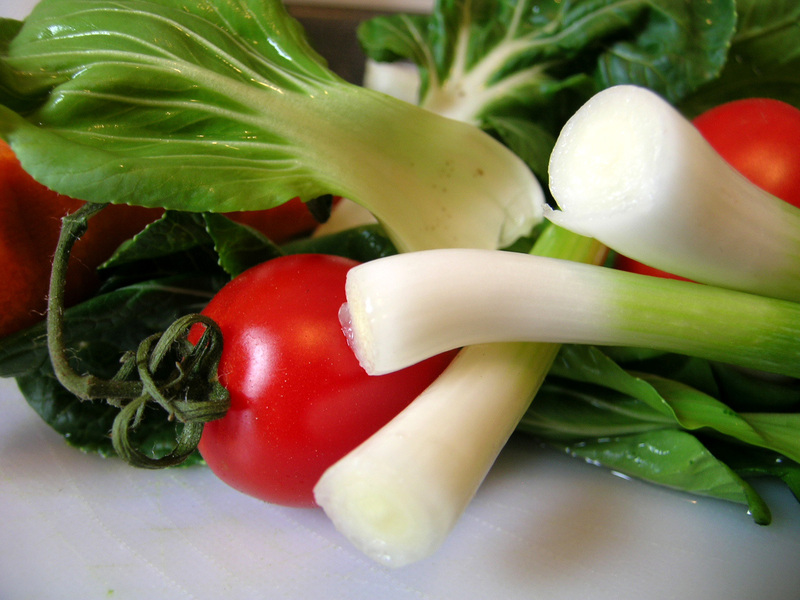 Enjoy the health benefits of the local fresh organic produce of Nature. Let your kids experience the wholesome taste of the earths’ harvest and consume the nutrient/mineral rich goodness. Allow them to connect, use their senses, explore, investigate, analyse and appreciate the wonder and awe of Natures strategies and systems. Kids in Time and Place – Take them back in time to the lifestyle of the previous generations as they survey the Old Stone Dwelling, the Old Creamery and the Ringfort. It will stimulate their curiosity and be an opportunity to teach them about sustainable local economy and care of the Earth. There has been much research to show that the most effective way to get children curious about the natural world is to bring them outside into Nature. They can use their senses to explore, observe and investigate the ever changing web of life. I have attached this youtube video to show some of the amazing strategies of creatures in the wild. Enjoy! You are probably well aware that it was the shamrock which was used by St.Patrick to illustrate the trinity of the Father, Son and Holy Spirit as he set about introducing the Christian doctrine into Ireland. At Cloncannon Biofarm we decided to go for an emblem that has a very strong significance for Organic farming, and that is the three leafed Clover. We too have a trinity that we need to convey a message about. The three leaves reflect the guiding principles of Cloncannon Biofarm, they are, health, nature and the future. Health in this instance refers to healthy soil, plants and animals including humans. 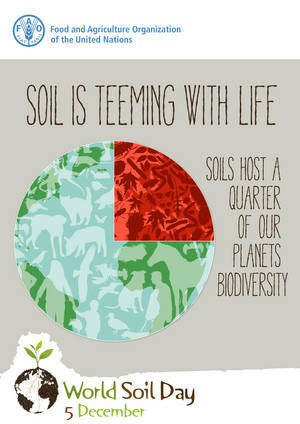 Soil is made from three key components, physical, chemical and biological. The initial stage involves the weathering of rock by chemical reaction caused by rainfall erosion and freeze, thaw actions over time. Water, air and humus combine with this mineral element to provide a suitable habitat for the biological component of earthworms, mites, insects, bacteria, fungi and plants. When these elements are present in correct proportions the physical component or soil structure will be optimum for plant growth. A healthy soil will have about 25% air and about 25% water. The decomposed animal and plant material in the soil (the organic matter/humus) is the food source for the microbes and once they digest this it becomes part of the nutrient source for the plants. The plants are miniature factories which harness the suns’ energy through photosynthesis and using the minerals extracted from the soil to create sugars so that it can produce plant tissue and also send some ‘thank you’ sugars down to the microbes in the soil. The acidity or alkalinity (the pH) of the soil will determine the microbial activity, earthworm activity, structure and chemical reactions that take place and therefore the major and minor minerals available to the plant and it follows also to the animals or humans. Aside from the major elements of nitrogen, phosphorus, potash, calcium, magnesium, and sulphur, the plant usually needs about 64 minor nutrients. There is a saying or well know statement “We are what we eat”, and for this reason I think that most organic farmers are committed to building soil health. You can learn a lot more about this process when you visit Cloncannon Biofarm. The Nature element of Our Logo embraces not just the millions of wonderful creatures to be found on Cloncannon Biofarm but the interactions and relationships between these and also the exchanges between the atmosphere, lithosphere, and hydrosphere. We encourage visitors to use their five senses when they are on one of the tours of the farm, so that they can have a greater appreciation of the beauty and the wonder and awe of Natures’ systems, cycles and relationships. But with our vision we cannot see all that is happening, for example, the soil food web continuously changing matter to energy and recycling nutrients or the trees taking in the carbon dioxide and giving us oxygen. We take for granted the many services that Nature provides to us each moment of the day and in most of our actions to make a living. We can learn so much from Natures’ way of interconnection, co-operation and no waste systems. 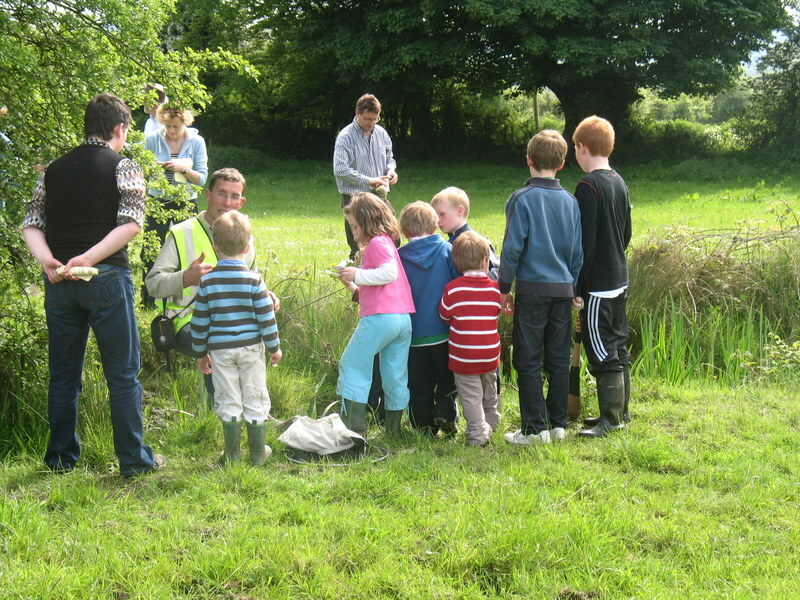 Care of the Earth and connecting to our partners in existence forms a considerable part of the learning experience at Cloncannon Biofarm. Why is the ‘Future’ the third part of this trinity. As with all creatures in Nature we humans aim to reproduce and allow the species to progress into the future. But maybe it is time for us to ask, “How are we doing”? Even to ask, “What is our Quality of Life”? What provisions are we making for future generations? When we do a tour on the farm we can visualise the past as we investigate the Ringfort, Old Stone Dwelling and the Old Creamery. We can try to imagine the lifestyles and traditions. We may start a debate on ‘Change’ over time, changes for better and/or worse. Then we consider where we are at in terms of using the earth resources of air, water, soil, fish and the many services provided by Nature/Biodiversity. Now is a good time to introduce into the debate our ‘needs and wants’ and to consider the global impacts with a fast increasing world population. But maybe we do not need to find a complex solution but to look at how Nature has succeeded over millennia to evolve and adapt. Maybe we can also learn quite a lot from the generations gone before us. The Celts had a strong connection with the earth and respected it bounty of food, resources and beauty. A native American people called the Iroquois had a philosophy of planning for the seventh generation into the future. This seems like a very selfless and caring strategy, but I might add that these people had a deep respect for Nature and creatures that they shared the land with. Maybe we can achieve great strides towards sustainability by connecting to Nature. When you visit the farm you can pick your own clover plant and hopefully bring home the message entailed within. We welcome all comments. Look forward to hearing from you. Cloncannon Biofarm is nestled in the shadow of the Devils’ Bit mountain in North Tipperary. 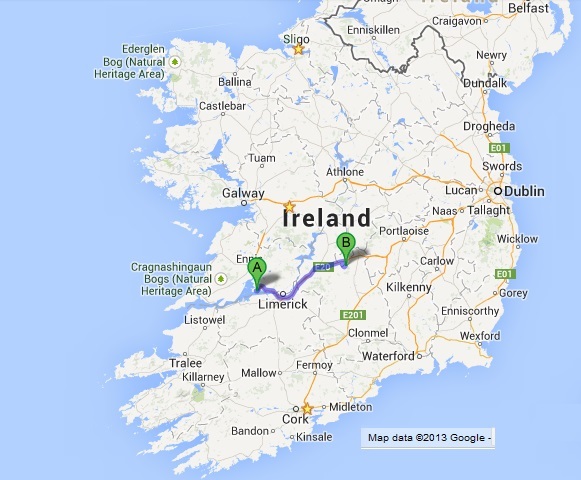 Our Biofarm is 45 minutes from both Limerick and Shannon Airport. 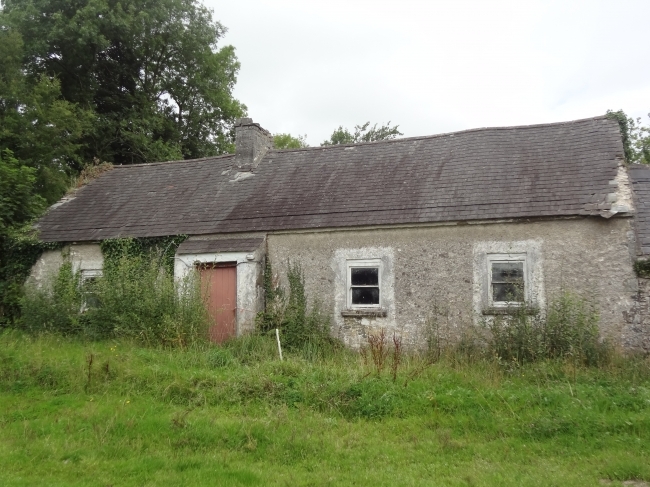 It is 20 minutes from Nenagh on the Main Limerick- Dublin Road (M7). When At junction 23, take the R445 exit to Moneygall/Cloghjordan. In the famed village of Moneygall (President Obamas’ ancestral home), find the Obama Cafe and the side street adjacent leads to Cloncannon Biofarm just 6km. The Mobile Phone contact details = 087 9227957.